Songwriting can be broken down into two parts at its most basic form: inspiration and execution. Creative-minded people need sources of inspiration, a place to store those ideas and visions, and the technical means to carry out and realize their songs. Alicia Keys once said, “The most important thing for me when I write is that I properly express the emotion that struck me so deeply.” In order to encapsulate the fleeting, powerful emotions that inspire you, it’s crucial to have quick and easy methods of transferring intangible ideas into accessible records. Here are the top eight mobile apps to help songwriters succeed in both categories of the writing process. 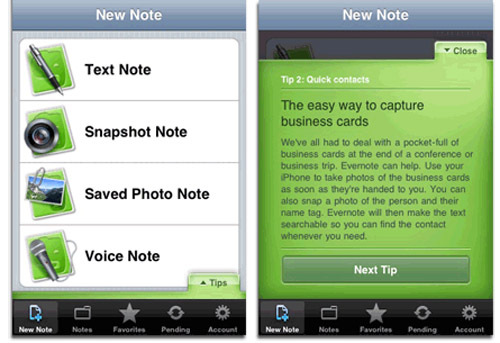 Starting off with the essentials, Evernote is an excellent app for storing text, photo, audio, and other kinds of notes in an organized way. It’s basically a classier version of your standard notepad, with added functionality like automatic syncing over the web between all devices on Mac/PC and screenshotting written notes for easy transferring. While this app was not designed specifically for musicians, it offers the perfect place to cohesively store all of your passing lyric ideas and hummed melodies. Price: Free online version for iPhone/iPad/Android. $4.99 per month for offline usage. *Another great contender for lyric writing that helps eliminate writer’s block is Songwriter’s Pad LE, by Paragoni LLC. It’s essentially an idea generator with access to rhyme suggestions, a dictionary, chord notation, and basic audio recording capability. 2. 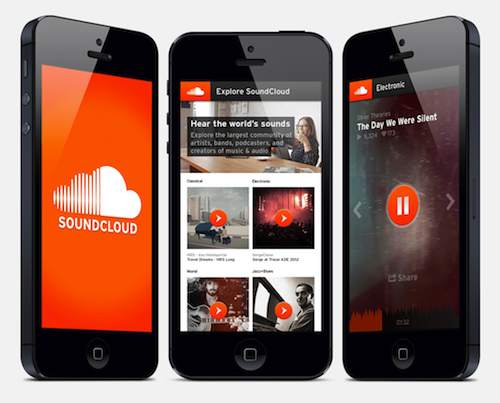 SoundCloud, by SoundCloud Ltd.
SoundCloud is an amazing platform for uploading rough demos and works in progress while you’re in the process of refining and perfecting a song. This app makes sharing music seamless while affording you the flexibility to edit your works, having multiple references of where you started, and how far you’ve developed. With the fluid integration of other platforms such as Facebook and Twitter, you can easily reach a huge audience and receive feedback from fans. Inspiration comes from many sources, and ideas can transform and adapt over time based on how you want to frame the context of your life experiences. I love that SoundCloud takes advantage of the collaborative potential songwriting offers with dedicated groups meant for sharing ideas and acquiring inspiration from other posts. My only complaint is that the free subscription plan only allows two hours of uploaded content, and only provides minimal statistics. Price: App download and basic subscription plan are free. Pro and unlimited service prices are listed here. Ever find yourself humming a melody or thinking through a chord progression while on your morning commute, but stuck without an easy way to explore it further? FourTrack is the perfect solution to this debacle. FourTrack is an incredibly powerful app that acts as a fully functional four-track recorder right from your phone. 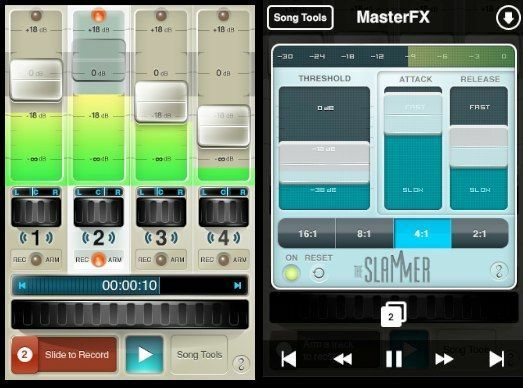 The app boasts a large suite of functions, including multitrack recording (four tracks plus a bounce), flawless graphics and delay compensation, input monitoring, calibrated meters and faders, master FX and EQ, and file import and sharing. Plus, it can record at true 16 bit, 44.1 kHz (CD quality). Inspiration can come in stages, and this app will catch each and every wave of new creative insight that comes to you with impressive quality control and ease of use. 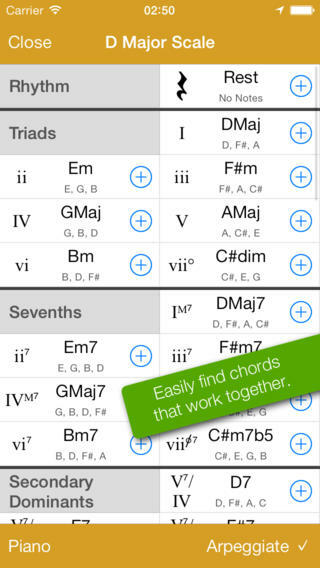 This app basically formulates chord progressions based on a catalog of suggestions for any given key. 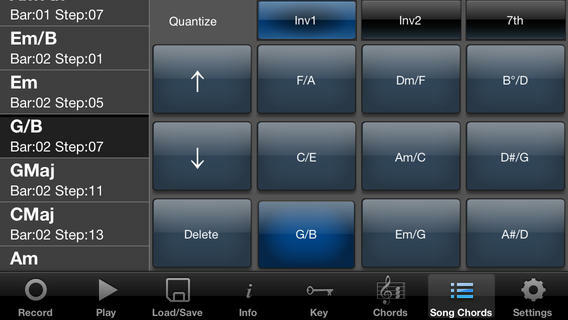 It’s super user friendly – you simply pick a scale, and then build your song from the chords that the app suggests. You can learn common jazz progressions, build reharmonizations, and train your ear to recognize specific chords. It helps eliminate some of the grey area from the harmony-building process by determining what scale your base progression is in, and will even help you pick chords from an extensive catalog of possibilities that make sense within the framework you already have going on. *If you feel like you could use extra practice with more hands-on visuals, I’d also highly recommend Pro Chords, $8.99. Although not the most reliable computer program, Apple’s mobile version of GarageBand is actually quite useful for songwriters on the go. You can build a composition from the ground up, complete with realistic-sounding drum kits, keys/synths, guitars, and basses. 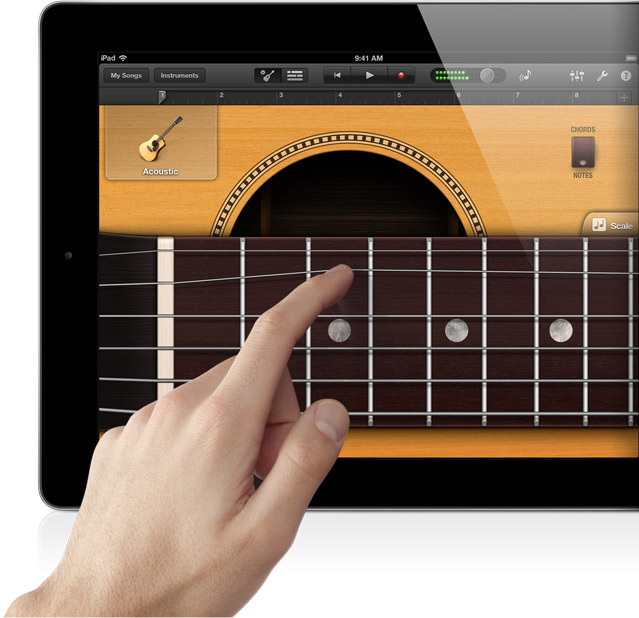 You can arrange and mix your song with up to 32 tracks using Touch Instruments, audio recordings, and loops. Music composition is 50% of songwriting, and GarageBand enables your iPhone/iPad to become a full-featured recording studio so you can make music wherever you are. Beginners to advanced musicians can use this app to eliminate the tedious thinking that sometimes inhibits the creative writing process. Users can easily and quickly generate song ideas, record them for later reference, find chords that sound great in combination with each other, create seamless modulations and inversions for subtle adaptations, and play with tempos. 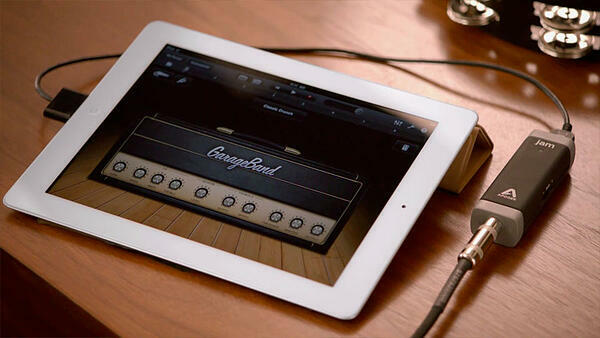 The touchscreen on an iPad gives you the perfect environment to quickly and easily generate song ideas effortlessly. When you have a great song idea, record it for later practice on your chosen instrument. While I’d like to see is more user flexibility with chord selections, added higher quality sound fidelity, and separate track recording/layering for more complex song building ideas, this app is simple and effective. Price: $4.99 for iOS 5.1 iPhones, iPads, and iPod Touch devices. There is a lite LE version available to try for free here.